What diseases should we vaccinate cats against? Current evidence suggests that many kittens still have their mother's antibodies in their blood stream at 12 weeks of age. These antibodies can inhibit the effects of vaccination. With no easy way of knowing whether your kitten has these antibodies or not, the WSAVA suggests playing it safe and giving a third injection at 16 weeks of age. Although this makes primary courses of vaccination more costly this is a one off cost. Annual vaccination thereafter is significantly cheaper. The Cat Vet's practice policy of avoiding over-vaccination means the contents of your cat's vaccination injection varies each year. At some stage in your cat's life (usually in kittenhood) there should have been a primary course of vaccinations - typically two injections 3-4 weeks apart, followed by a series of annual boosters. 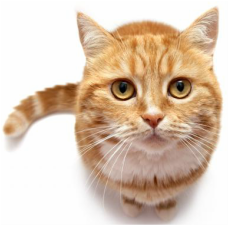 Unlike many local practices, even if your cat is slightly overdue with an annual booster, following the WSAVA vaccination policy means your cat will not need to restart the whole course again saving you ££ in the long run and more importantly reducing stress and risk to your cat!